USL claims it has given a report on how the liquor baron channelled money from the company to Kingfisher Airlines, Force India and Watson. United Spirits Limited (USL), majority owned by British liquor major Diageo, has given evidence to regulators and investigation agencies of fund diversion to the tune of Rs 1,225 crore (Rs 12.25 billion) from the company under Vijay Mallya. “It is fairly voluminous report and we have given copies to all regulators as a board and the company. We do not have powers to investigate or judicial powers to decide action,” USL Chairman Mahendra Kumar Sharma told shareholders on Thursday at the annual general meeting (AGM)of the company. This is the first AGM without Mallya. “We have informed the regulators and authorities,” said Sharma. Mallya, who is in the UK, has denied these charges, saying that Diageo had done extensive due diligence on USL prior to acquiring the company shares. “It is surprising and unfortunate that unfounded allegations are now being made without any reference to me whatsoever,” Mallya said on July 10. He maintained ignorance of the investigations by E&Y that threw up the fresh charges and said all transactions were legal and approved by USL auditors. 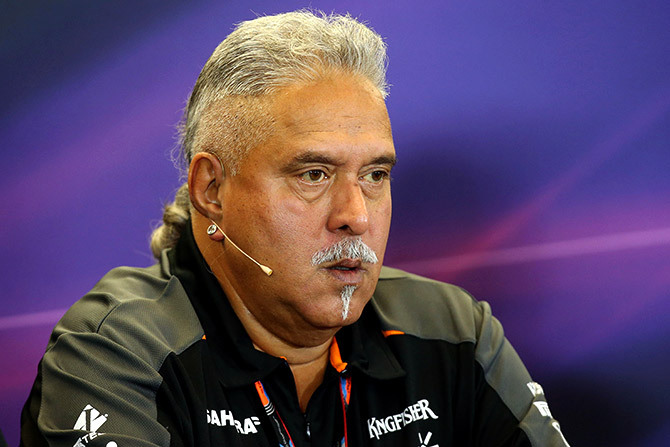 On July 9, in a statement to the stock exchanges, USL said a follow-up investigation by E&Y found Mallya diverted funds to Kingfisher Airlines, Force India and Watson. The E&Y report will now be shared with Indian law enforcement authorities and regulators for further action. Sharma on Wednesday said even though Diageo had done due diligence of USL records before acquiring the company from Mallya, some facts towards the fund diversion were not found. “Fund diversion has come to light as the result of the study made by the auditors and the forensic audit,” he told shareholders in a packed room. Meanwhile, a consortium of banks, led by State Bank of India have petitioned the Supreme Court seeking intervention after Mallya did not comply with the apex court directions to disclose all assets. An earlier investigation by PricewaterhouseCoopers (PwC) UK was placed before the USL board in April 2015 which had asked Mallya to step down. Mallya, however, refused to do so and had trashed the investigation by PwC saying PricewaterhouseCoopers India cannot sign the accounts and later conduct an “independent” investigation. Mallya also questioned the due diligence conducted by Diageo before taking over the company. Diageo later signed a peace deal with Mallya and paid him an additional $75 million. Diageo had taken over the company in November 2012. On Wednesday, the Debt Recovery Tribunal, which had ordered Diageo to deposit the money with the tribunal dismissed its earlier direction saying it is “in fructuous”. USL officials along with Mallya are currently under investigation of the Enforcement Directorate (ED) for funds diversion from India to tax havens abroad. USL shared the outcome of the board meeting held on Saturday in relation to the additional inquiry into certain matters referred to in the company’s financial statements for the years ended March 31, 2015, and 2016. “The findings relate to historical matters before Diageo consolidated the USL business in July 2014. Based on our understanding as of today, we believe there will be no further material financial implications to USL,” USL said. Mallya is currently living in London and has evaded summons from the ED, which is investigating fund diversion by Kingfisher Airlines. Several banks have declared him “wilful defaulter” for failing to pay back loans amounting to thousands of crores. Mallya’s passport has been revoked by the Indian government. He has been showing no signs of returning to India soon in the wake of various legal and regulatory troubles. Mallya is wanted in India and is facing charges of money laundering. A consortium of 17 banks lead by the SBI has been trying unsuccessfully to recover dues of over Rs 9,000 crore (Rs 90 billion) from the now defunct Kingfisher Airlines, which was promoted by him. Last month, the Enforcement Directorate had attached assets worth Rs 1,411 crore (Rs 14.11 billion) belonging to Mallya and one of his companies in connection with its money laundering probe in the alleged IDBI Bank loan default case.